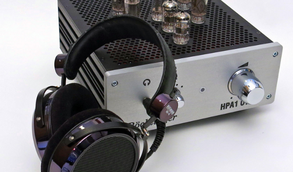 A unique product, probably the only pure OTL headphone amplifier on the market. Balanced RIAA amplifier with an outstanding signal to noise ratio. Creating the perfect sound requires careful work, technical expertise and a strong will to succeed. Our goal is to deliver high quality audio equipment true to the original sound and ensure that our customers feel more than satisfied. At Röcklinger we attach great importance to the fact that every detail counts. Luckily enough it (PHA2) is not only an engineering product, it also sounds really, really good. I would like to state that it is comparable with other RIAA amplifiers 2-3 times the money." Read the excellent review the Röcklinger HPA1 OTL headphone amplifier got from one of the biggest Hifi magazines in Sweden (in swedish). Read article. The first amplifier Röcklinger launched was a headphone amplifer, build with tubes with OTL technique. OTL stands for Output Transformer Less. To learn more what OTL is we share with you some usefull links for the curious. Gain more knowledge and follow our journey. Provide your email and we will keep you updated on new stories from the people behind Röcklinger.